Description: Twitter, Facebook, LinkedIn, Instagram and more! This workshop is designed to illustrate how to use Social Media as a tool to assist in marketing and growing your business. 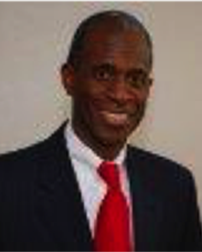 Stan Robinson, CEO of SHR Marketing, LLC, advises businesses and professionals on integrating social media and digital marketing into their business strategy. He specializes in showing clients how to leverage LinkedIn for sales, business development and career advancement. In addition, Stan helps enterprises with their content marketing strategy and copywriting. Union County and a member of the Gateway Chamber of Commerce. Stan has a BA in Psychology from Harvard College and a Masters in Public Affairs from Princeton University. In addition, he has completed a number of continuing education courses on social media, digital marketing and copywriting.